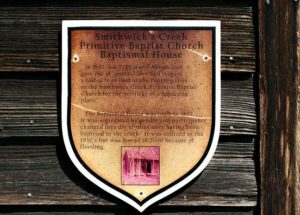 Smithwick’s Creek Primitive Baptist Church is a historic Primitive B aptist church located near Farm Life, Martin County, North Carolina. It was built about 1897, and is a front-gable, unadorned frame building. The building measures 44 feet, 4 inches, wide and 60 feet, 4 inches deep. Also on the property is the former Smithwick’ s Creek Baptismal House, built in 1892 and moved to site November 2003. This was used by the congregation to change into dry clothes after being baptized. 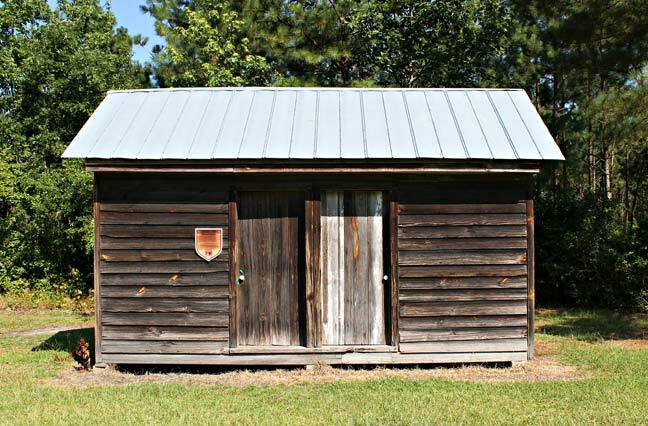 The present church building is actually the third to be built on or near this identical spot. 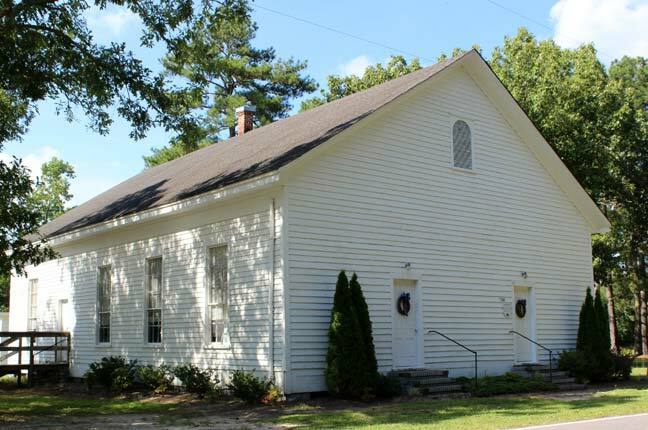 The Smithwick’s Creek Primitive Baptist congregation was organized in 1803 following three successful years of missionary visits by Elder Joseph Biggs. The first meeting house on this site was built in 1804 and completed by June 8th of that year. The first building was replaced by a much larger building in 1874. This second building burned in December of 1896 and was quickly replaced by the present structure. It was finished in time for the next meeting on February 27th of 1897. The interior remains basically unchanged with beaded boards on the walls and ceiling. The pews are homemade benches with backs. There is a raised chancel which has a modest lectern for the minister with a couple of chairs behind the lectern. 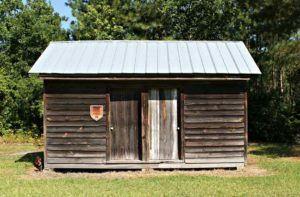 The standard of the day for the Primitive Baptist was for the church to have two doors; men on one side and women on the other. This church has been rather recently utilized for some groups that broke away from other local churches if an effort to establish a new church. The present building is actually the third to be built on or near this identical site. The congregation was organized in 1803 following three successful years of missionary visits by Elder Joseph Biggs.